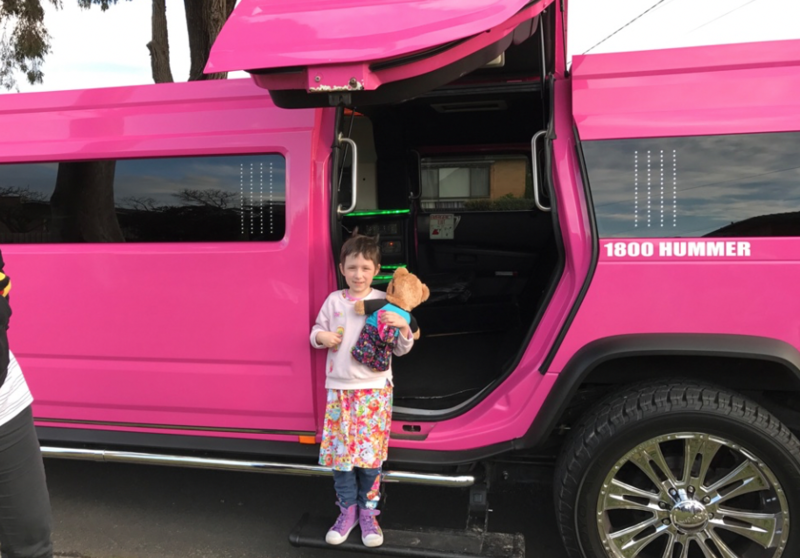 Here is a brief summary of Hayley’s journey that started in 2016 at just 6 years old. I love the last bit of this post the most. Saturday 18th June 2016:- Hayley taken to doctor then Royal Children’s Hospital Melbourne to get her eye checked. Sunday 19th June 2016:- They found something and wanted to do more tests. 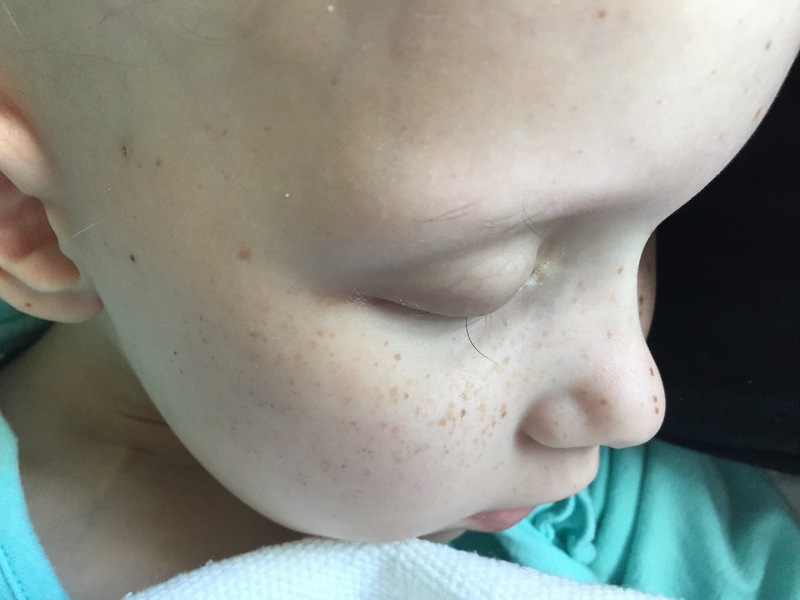 Thursday 23rd June 2016: We were told it was a type of cancer called a Rhabdomyosarcoma. Saturday 25th June 2016:- They hit her hard with 4 different types of strong chemotherapy. Each one with its own list of side effects. Friday 22nd July 2016:- Hayley turned 7 years old. In hospital. Receiving a blood transfusion. Monday October 2016:- Hayley starts Day 1 of 28 days of Radiation spread over five and a half weeks. Sunday 30th October 2016:- I post the photo of the one eyelash on Facebook after Hayley fell asleep leaning on me as we sat on the couch in the hospital. The photo and the story went viral and Hayley got fans and messages of love, strength and support from all over the world. If you Google “Hayley Brown eyelash” you will still find pages and pages of articles in multiple languages from across the world. 25th December 2016:- The Warrior Princess receives a full size replica war hammer from The Hobbit as a Christmas present. 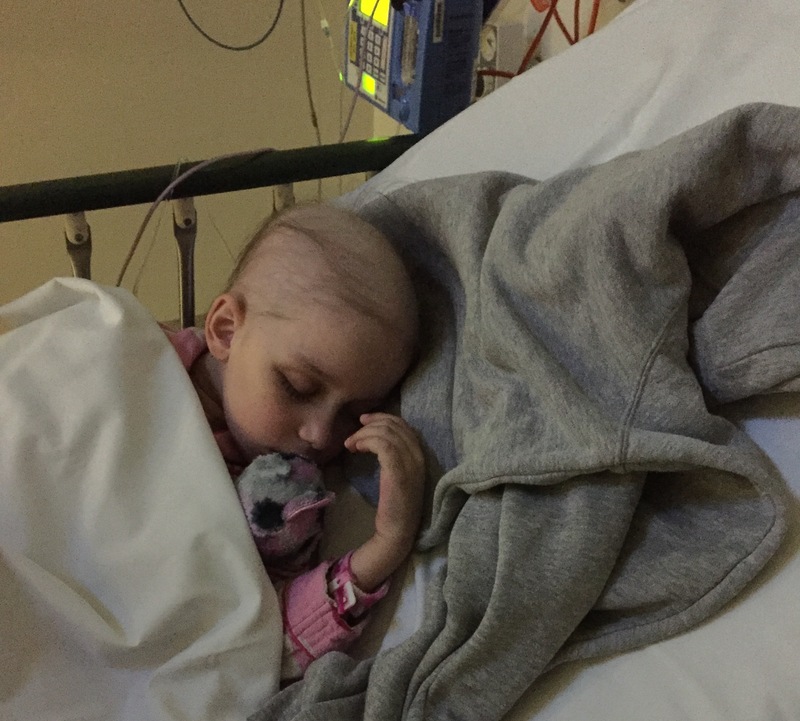 December 2016:- They stopped the hard and heavy treatment and began Maintenance Treatment, which is basically 2 more gentle chemotherapies which are closely related to 2 of the nasty ones she was on. One of these is a daily liquid we give her at home. Varying the dosage as her body struggled at the start. We have had a hazardous waste bin sitting on our fridge to put the syringes and empty bottles in as heaven forbid you get this stuff on your skin. Day 1:- Finger prick blood test. Doctors appointment to check results (often delayed). Doctor approves. Gives us the prescription for the stuff to take home and the nurses put the numbing cream on Hayley’sport (a small access point under the skin just under her right armpit). An hour while the cream kicks in then they put the needle in there and pump the chemotherapy in. Hayley goes to school if not too late. Day 8:- Numbing cream on the port. One hour wait and then chemo. This is usually after school. Day 15:- Finger prick blood test and doctors appointment. Pick up next bottle for home. Usually nothing else until day 1 again but there has been the occasional extra visit for fevers and removing the feeding tube. Then getting the hole from the feeding tube sewn shut as it didn’t heal naturally. Probably because we were pumping chemo into her which stunts any natural healing processes. Saturday 22nd July 2017:- Hayley turned 8 years old. I am leaving a lot of detail out as I really want to get to this bit. Sunday 17th December 2017:- Day 28 of the last round, therefore the last day of the poison being squirted into her mouth. Monday 18th December 2017:- A few drinks and a BBQ with some very close friends and family to celebrate. 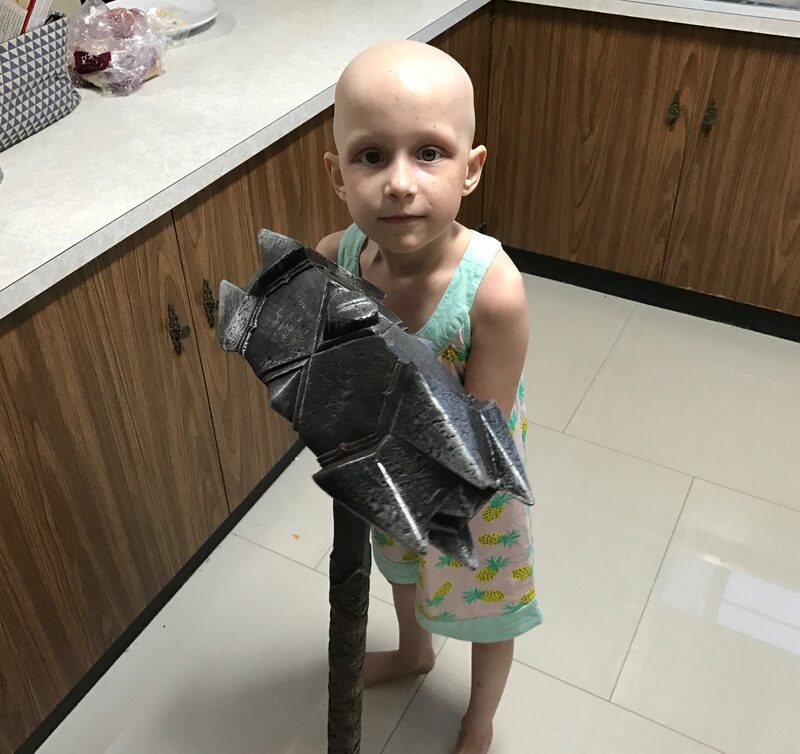 a bit later, same day:- At 12:45pm Dr Jordan Hansford from the Royal Children’s Hospital Melbourne has told us Hayley is in CR which is COMPLETE F@&%ING REMISSION!!!!!!!!! Very happy family here right now. There is an ongoing journey with lots more tests over the years. The removal of the port in a few months. Looking for possible longterm side effects as they present themselves and we can deal with them as needed. as well as trying to capture the portion of Hayley’s childhood that she can never get back. We can now reflect back and see who the true friends and family actually are. Some surprises, good and bad and some that you wouldn’t expect any different from, good and bad. Thank you to all the good, whether it was a surprise or not, you were amazing, it was still appreciated more than I hope you could ever know.